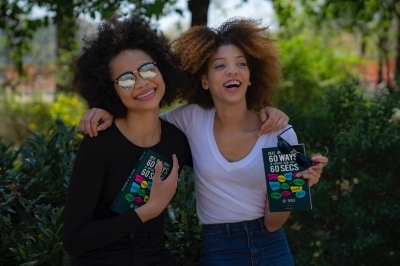 Following the release of our brand-new book, Meee In A Minute - 60 ways to improve your life in 60 seconds, it was featured in the Liverpool City Business Post last week! Dan Hughes writes a stunning article all about the book, stating that "it is bursting with 60 different ways to improve thought processes, perceptions and positivity with short, effective chapters that each take just one minute to read." It is an utter privilege to have our book featured in the Liverpool City Business post. MIAM is a self-help book, with the aim of arming everyone who reads it with coping mechanisms and strategies to help them live a better, more fulfilled life. The day to day tasks are ways to improve your mental health, mindfulness and motivation. According to Mentalhealth.org, It is estimated that 1 in 6 people in the past week experienced a common mental health problem and a whopping 8.2 million cases of anxiety were recorded in 2013 alone. We hope that with our book, we can contribute to reducing this problem. Read more or enquire about our Meee Enterprise workshops for your business here. The article, found in the Business Partner section of the newspaper highlights all of the hard work that Sid, the Meee team and many others have put in with hopes of spreading our message of self-worth, love and creativity nationwide. Our vision is help each and every person believe in who they are and what they are capable of. Though our vision is a big one, we know that by taking just 60 seconds out of your busy day, you really could change your life for the better. MIAM is now available to buy on amazon! Check it out here: https://buff.ly/2xxFpdS. Alternatively, head to our publishing site, https://meeebooks.com/, to discover more about MIAM. You can read the full Liverpool City Business Post here!